Here at EpicOrange we like to put a twist on the obvious. Go to any race and you will often see 'feed zones' littered with plastic creates and food bags. So what if you could have one single product that could carry all your needs? And what if it was convenient to clean and easy to store after the event!? Surely we'd all want one!? Capable of holding all your needs in one place! Made from a tough Non-Woven material they feature six individual compartments, suitable for 500ml or 750ml bottles. 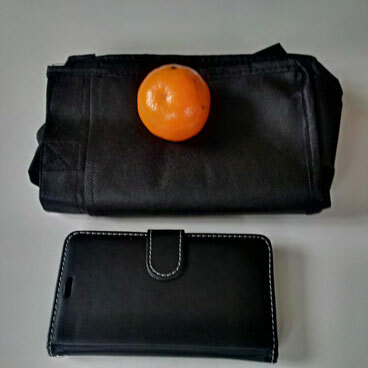 Strong handles for easy transportation, plus two very useful full length external pockets which are ideal for holding large volumes of gels, bars and sachets! 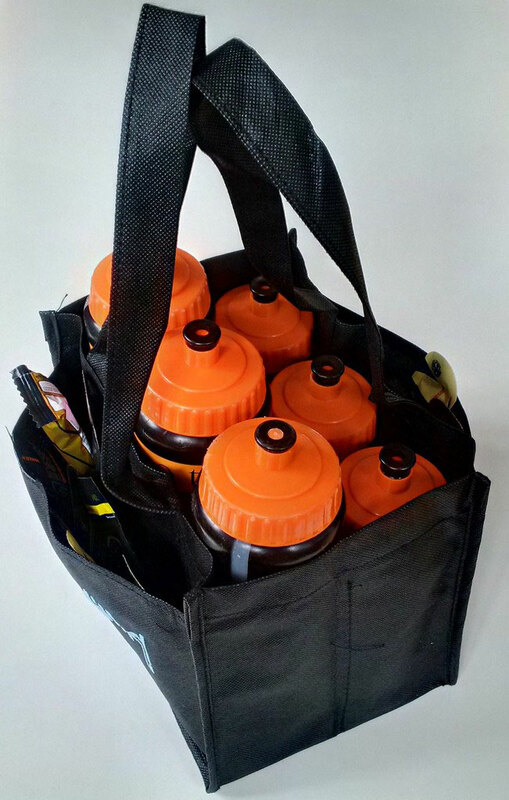 Our new Bottle Bag Holders can be simply thrown in the wash with your kit after an event. They are quick drying and fold down to an ultra compact size making them easy to store for when not in use! 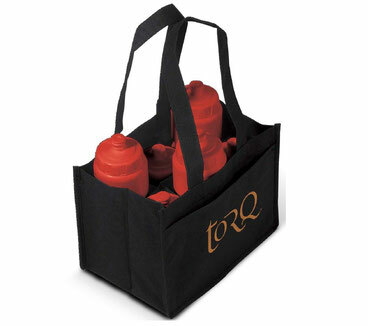 Available branded with your logo! Take advantage of the large side branding area to print your logo. Printing up to 4 solid spot colours. Available from just 250 units at low cost.